"Save Water. Drink Wine" wall art quote feature combined with an elegant silhouette of a wine bottle and corkscrew. Available in various sizes and 50 different colours. 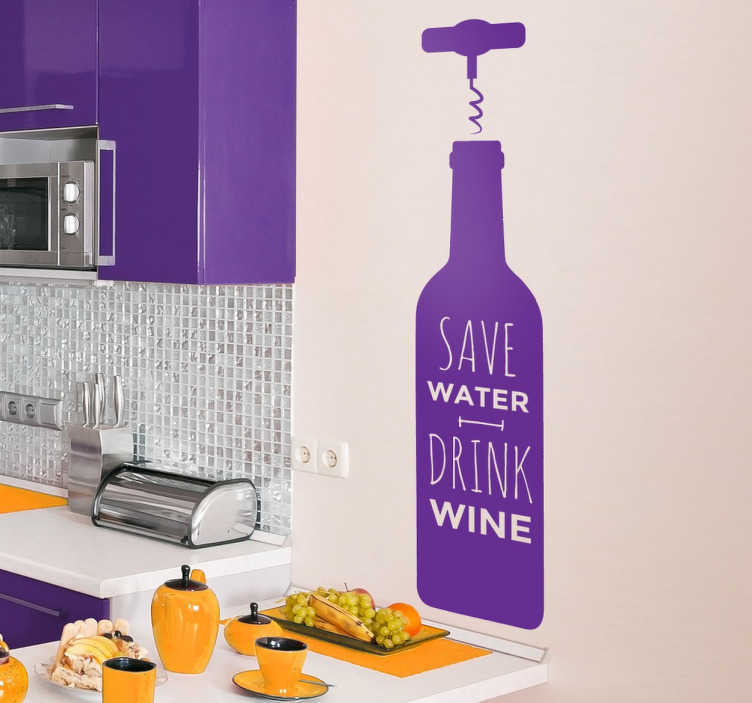 Kitchen wall sticker perfect for wine lovers. Made from high quality anti-bubble vinyl. Easy to apply. Can be applied to any smooth surface, also easily removable when needed, leaving no damage or residue. Ideal for personalising your home décor.